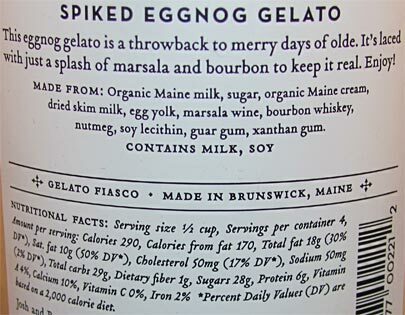 [By Nick, left after 2015] Time to give my uneducated opinion on another eggnog flavor! Not only that, this one is mixed with alcohol. We all know I'm not too familiar with alcoholic products but I have encountered both marsala and bourbon in other products so let's see how this goes. 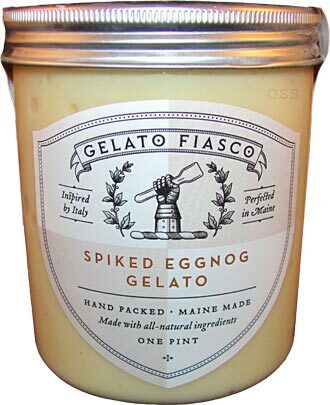 "This eggnog gelato is a throwback to merry days of olde. It's laced with just a splash of marsala and bourbon to keep it real." 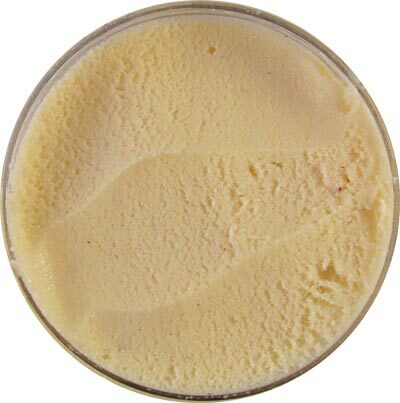 Since there's no mix-ins, The Gelato Fiasco's excellent texture shines through perfectly. I know Dubba isn't fond of letting things temper but the reward is worth the wait with these pints. The flavor reminds me a lot of Talenti's version to be honest. Milky, creamy with a hint of spices. The only difference here is the added kick from the bourbon. Yes, I'm surprisingly able to distinguish between both of the alcoholic components. The marsala is pretty mild and I wouldn't have picked it up if it wasn't in the description. The bourbon isn't a dominating flavor but it let's it's presence be known. I actually enjoy it and find this flavor better than Talenti's due to that added layer of flavor. Winter isn't over yet so if you're looking for an eggnog flavor with a bit more too it, I'd say give this one a go. As a guy who doesn't partake in alcoholic products, this is still a nice change of pace. It gives me the flavors without having to worry about where I'll be waking up in the morning. Verdict? Pretty sure this is why my grandma doesn't mind my uncle spiking her eggnog. Buy Again? If I wanted eggnog, yes!